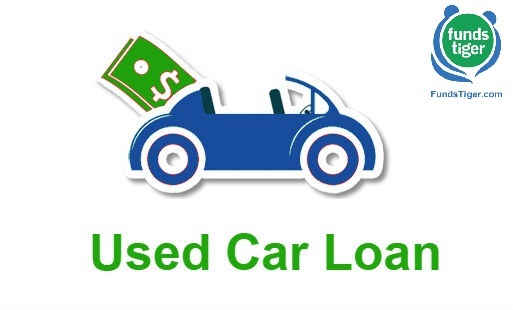 A used car or a pre-owned car is that vehicle which is being sold for the second or the third time. The used car market in India is booming. According to the reports, the ratio of new cars to used cars is 1:2.2, which means that for every 100 new cars sold, 220 used/pre-owned cars come into the market for sale. The annual volume in the used car market is estimated to be 4 million units, which is 50% more than new car sales. Bankers say that there has been 12-18% rise in the used car loans as well. If you are also planning to buy a used car, here are a few things that you need to focus on. Also in case you are planning to take a loan for a used car. Ease in the availability of finance. Getting the best interest deal for your used car loan is not easy. Do your homework on the various loan providers so that you find a deal that suits your needs. Remember, the rate of interest decides the amount you will have to repay, but do not let this be the only deciding factor. There are many other factors, once needs to consider, including credibility of the lender. When you are buying a used car, you need to first check all the documents. The RC book needs to be clean. The financial institution would want to know if all the documents of the asset are clear. For instance, what if it is a car stolen the financial institution will not want to take the risk. Banks will evaluate the document and value the car independently as well as based on internal parameters before deciding to lend. Nothing is more relaxing than a clearly laid out loan repayment schedule and the possibility to foreclose a loan with minimum charges. You can use this online EMI calculator to know the amount you will have to pay for each month. Try multiple combinations of Loan Amount, Rate of Interest, and Tenure, to arrive at the most suitable EMI. This is the toughest part of financing a used car. A brand-new car comes with a clear price tag, whereas estimating the value of a used car is not easy. One would have to take into account the number of kilometers driven, the user profile (personal or commercial use), the place of usage (Cars from flood-prone areas may not be preferred), accidents or modifications done on the vehicle and clear title of the car, etc. A car loan provider charges a fee for processing your application and doing the paperwork. This amount depends on the loan amount, the tenure, and the down payment. Seek information about these charges and read the fine print to ensure that you understand all the charges. Previous post State Bank of India cuts MCLR Next post Increase Lead Generation with Introductions through FundsTiger and its Partners.